Subaru Debuts Limited Edition WRX STI TYPE RA and Subaru BRZ tS in the U.S.
Tokyo, June 9, 2017 – Subaru Corporation today announced two new performance models for the U.S. market: the Subaru WRX STI TYPE RA and the Subaru BRZ tS. Based on the WRX STI and the Subaru BRZ, these limited edition models were engineered by Subaru’s motorsports subsidiary, Subaru Tecnica International (STI) for the U.S. market. Each vehicle is limited to 500 units and vehicles will arrive at U.S. retailers in early 2018. As part of the product strategy set out in the company’s mid-term management vision, Subaru is strengthening efforts to enhance its STI brand. 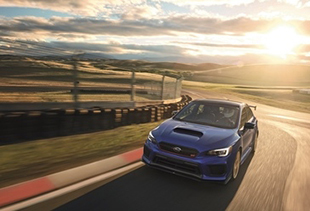 Introduction of these high performance vehicles in the U.S. is aimed at further enhancing the presence of the STI brand in Subaru’s largest market. Subaru selected the WRX STI and the BRZ for base vehicles as they are two icons that represent Subaru’s excellent driving performance. The WRX STI TYPE RA takes the outstanding AWD sports performance of the base WRX STI to a new level. The weight of the vehicle has been reduced by adopting the carbon fiber roof panel and pedestal wing, and the 2.5-liter horizontally opposed engine offers increased output. 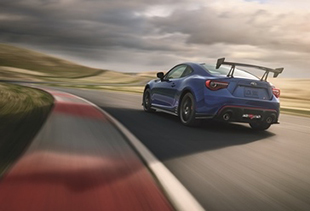 The Subaru BRZ tS, developed in pursuit of delivering the joy of driving, features flexible V-braces and draw stiffeners, which improve the vehicle’s responsiveness and result in superior chassis performance. This enhances the instinctive precision handling offered by the ultra-low center of gravity for which the base vehicle is renowned. The two models are furnished inside and out with exclusive detailing to heighten expectations for high performance and to magnify the joy of owning these vehicles. *1: Ultrasuede® is the registered trademark of TORAY INDUSTRIES, INC.
*4： Roof height is 1,465mm. *5： Roof height is 1,280mm.